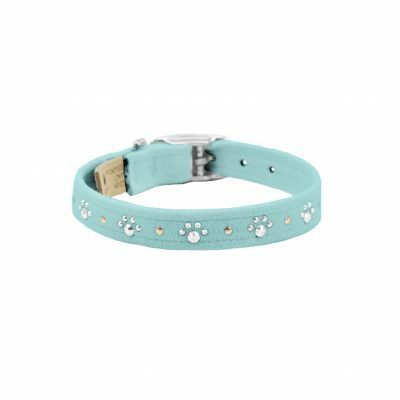 These dog collars are made with meticulous handwork and detailed elaboration. 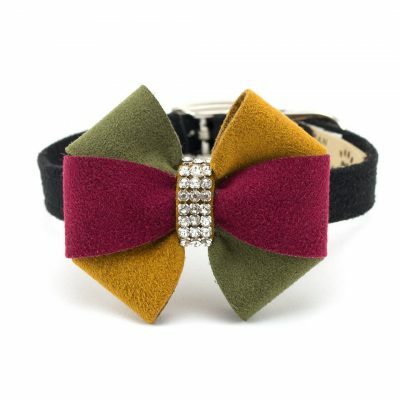 This designer combines different types of materials in her characteristic fantasy world to create fashionable pieces for our dogs. Decorations may vary slightly in size or shape as they are all one of a kind. Matching dog leash is also available. 11.8" x .6", 13.8" x .6", 15.8" x .6", 17.8" x .6", 9.8" x .6"